Gene Simmons, the lifetime menace, KISS frontman, and frequent trademarker, has maintained an ongoing relationship with Fox News. He’s less of a zealot than Ted Nugent, classic rock’s most reliable guest on the network, but is apparently more likely to expose his chest on the air. 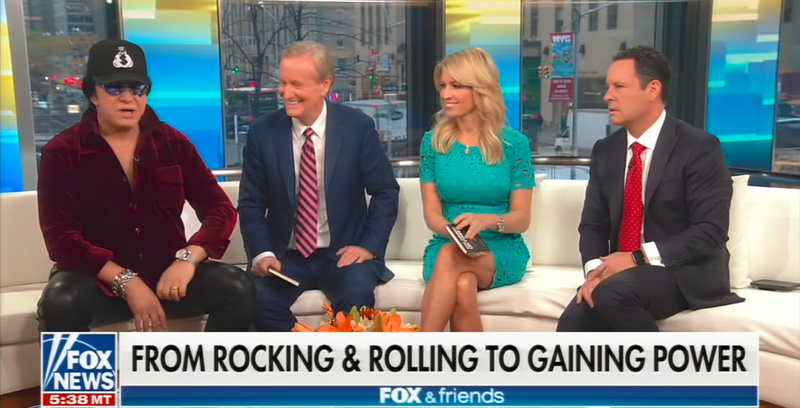 Simmons made the Fox rounds on Wednesday, stopping by Fox & Friends and Fox Business Network to promote his timely new book about amassing vast amounts power and money, called On Power: My Journey Through the Corridors of Power and How You Can Get More Power. According to a report from the Daily Beast, things got a little messy off camera. May he validate it for the rest of his life.